Have we missed anything? Can I teach her advanced math? Is four years enough to get in everything? Am I the best person to teach her? I’m sure you are all too familiar with the negative thoughts that the enemy tries to place within us to make us feel unqualified and inept. Even though my husband and I were in home school leadership, we were not immune; in fact, our role as leaders may have intensified those thoughts of self-doubt. It was at this time that we began to consider hosting an event to help parents and students to better plan for high school, to maximize the years before graduation, and to minimize the surprises. Having worked in college admissions, I felt it was necessary that home schoolers should have their own college night designed specifically for the types of questions and situations that may be encountered with having a parent-administrator and homemade transcripts and diplomas. The result was the HEART of Texas Homeschool College Night. Our primary goal was to bring home school students and college recruiters together under one roof in order to help parents and students navigate the college admissions process, while helping the recruiters realize the academic and social strengths of home school students. The HEART of Texas Homeschool College Night is a great place for home school students to start their college search, speak with recruiters from dozens of schools, and gain important college-prep information, all in a single evening. While a college fair is certainly appropriate for 11th and 12th graders, it is best to begin attending as early as 9th or 10th grade. It is never too early to research and prepare, and early preparation can give you an edge by helping you know what to expect in terms of admissions requirements and deadlines. Plan your high school coursework. Should your student take two years of high school level math or three? What about foreign language and lab sciences? The answers to these types of questions depend on the school into which you are looking. Even if you do not have a specific school in mind, if you notice that many of the colleges you research expect the same things, you can plan accordingly. Receive information from many schools at once and make quick comparisons. Are you looking for schools that excel in a certain major or emphasis? What target SAT/ACT score do you need to have for scholarships? Does the school accept dual credit? Are you required to live on campus during your freshman year? What is the student-teacher ratio? Since you will have many college options at your fingertips, you can ask recruiters questions about their schools and what they have to offer, and receive answers quickly and first-hand from someone who knows the school best. Develop your list of potential schools. A college fair is an excellent place to help you identify schools that are a good fit for your goals and situation. 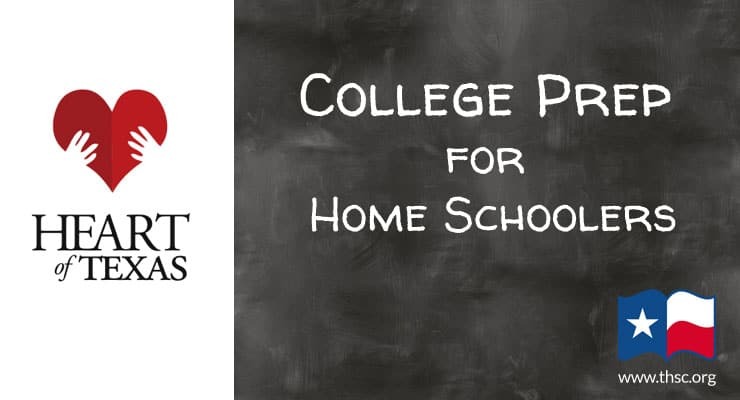 Attending a home school college night has the added benefit of helping you see which schools actively seek out home schoolers to the extent that they willingly devote resources and time to attend so they can meet with you in person. While not every college that reaches out to home schoolers is always able to attend each year, it is a good starting point to initiate those contacts. You may even discover a school you had not heard of or considered before. While it is certainly a good idea to visit the campuses that you are most interested in attending, driving to a college fair is much cheaper than visiting multiple college campuses only to find out that they were not what you expected. Attending a college fair can help you whittle down that list so that you can focus on the options that are the strongest fit for you and your student. Gain information about financial aid, scholarships, SAT/ACT prep, and other college planning topics. Some college fairs host seminars on various college-related topics so that you can be informed about things such as funding options, scholarship opportunities, and SAT/ACT test prep. The HEART of Texas Homeschool College Night is particularly valuable because it provides these types of sessions from a home schooling perspective. Practice valuable interviewing skills in a friendly, non-threatening environment. Students attending a college fair will have many questions. The college fair offers students the opportunity to practice their interview skills as they learn how to ask good questions and construct responses while “thinking on their feet.” Since most college fairs are informal events, students can practice this skill without needing to feel fearful or intimidated. Develop a working relationship with college recruiters. One of the most valuable benefits of a college fair is the ability to get to know and meet face-to-face the recruiters from various schools and to begin to develop a working relationship with those persons. This can be a huge benefit over time, as the recruiter gets to know you and your student. Although they might not tell you, recruiters are interviewing you as well, and they are just as interested in seeing if you will be a good fit for their schools, as you are in seeing if the schools are a good fit for you. Developing a good rapport with the recruiters from the schools you are most interested in attending may even give you an edge when they begin considering your application for admission and scholarships. A college fair can help you pre-screen colleges as you ask questions and collect materials, so that by the time you are ready for an on-campus visit, you will already have a good feel for what the college offers and if it’s a good match for you. Your visit can then be spent focusing on things that can best be answered in person: what the college culture is like, how the campus feels, what students do for fun, if the food served in the dining room is appetizing; if the parking lot is well-lit; how easy it is to get from one place to another; and if there is a coffee shop nearby. While the speaking sessions are a valuable source of information, you can also ask individual recruiters their advice about things such as taking AP or dual credit classes, early application, how to best prepare for their school, what scholarships are available, and how scholarship determinations are made. No single source of information is quite as valuable or reliable as that gained from the recruiter at the specific school in which you are interested. According to research from the National Association of Admission Counseling, 50 percent of colleges claim that a student’s demonstrated interest in their school is either highly or moderately important in the admissions process. Attending a college night is an ideal way for students to “demonstrate interest” in a particular set of potential schools by visiting with recruiters and signing up to be on the school’s mail list. This goes a long way in developing a relationship with the college recruiters and may give you a slight edge when they begin considering your application. Be sure to thank the college recruiter for spending time with you at the fair. Preparing for college can seem like an overwhelming task, particularly in light of all the other things home school parents and students need to consider before graduation: coursework, credit hours, and transcripts, to name a few. But there is hope! A home school college fair can help ease your mind and make the college preparation process a little easier. It is time well-spent. 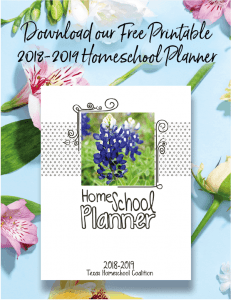 HEART of Texas is the Texas Home School Coalition (THSC) North Texas Affiliated Regional Group, and as such works in conjunction with the largest state home school advocacy organization in the United States. THSC consults with HEART of Texas on home school related issues in North Texas to coordinate development of policy issues and responses to individual cases affecting home school families. THSC seeks to serve home school leaders across the state. If you have a group leading home schoolers in your area, please contact our leadership support manager, Ashley Lawson, at ashley.lawson@thsc.org for more information about working together with THSC. Anne Gebhart is the regional director and co-founder of HEART of Texas with her husband Dave. She has home schooled their six children for 20 years. Through HEART of Texas, the Gebharts help thousands of North Texas families get started home schooling and connect them with support groups and resources. The Gebharts also speak at various home school events and community forums, and coordinate several regional events, including an annual college night for home school families and a leadership conference for home school support group leaders.